Profile raising to help you stand out! If you're wondering "who on earth Jenny is?" Jenny Kovacs was the U.K.'s first Visibility Specialist and is still the only Specialist who covers the mindset, the inner work and the actual doing to raise your profile both off line and online. 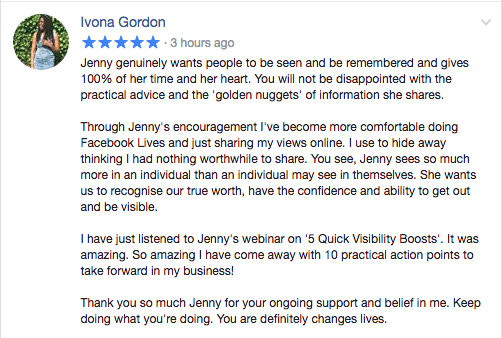 Jenny's work with both ambitious organisations and confident people stops that feeling of being invisible. It also helps you and your business to gain more visibility to make the kind of impact that has your customers find you easily and understand exactly how you can help them too. This is why I'm known as "The Queen of Being Seen" it's ALL about you!